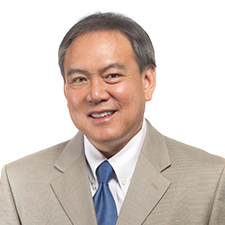 Rick Kam, CIPP/US, is president and co-founder of ID Experts. Small data breaches have just as much risk and potential exposure as their bigger counterparts and no provider of any size can afford to ignore a threat of compromise to patient medical records. Three lessons from the information security front lines sum up the current realities and challenges. The traditionally different disciplines within IT shops can glean valuable insights from each other's best practices. Why response, not prevention, will ultimately determine privacy and security success. Even with the uptick in PHI-related security events, health entities have not kept pace with their incident response tactics. Here are tips for making that happen. Healthcare organizations can glean valuable insights from the large-scale breaches that have hit retail outlets. CIOs and CISOs can learn a lot from a consistent incident assessment even if the event did not ultimately result in a breach. Here are two steps to getting started. CISO survival guide: Tactics for easing the transition to risk management in ways that succeed for both the company and your own career. The Internet of Things is coming, whether you want it or not, and that will pose new risks for patients and providers alike. Because HHS Office for Civil Rights shaped phase 2 audits on phase 1, healthcare organizations should expect the coming round to specifically target HITECH provisions that were high sources of compliance failures. In other words: Get ready.